A motorist has lived out every driver’s nightmare when he found a spider bigger than his hand in his car – and it had been there for a week. Imgur user lachshmock posted a video of the terrifying hitchhiker after it met a grisly end in his car door on Monday. 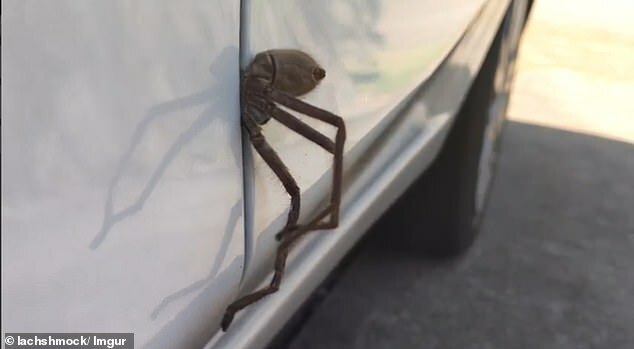 The footage, which has been viewed over 2500 times, shows what appears to be a large huntsman spider that was caught in the closed car door. ‘He was my horribly friendly passenger for a week. RIP,’ the poster wrote. The comments on the post were generally in favour of the driver purchasing a new vehicle. ‘Oh great now we have to burn the car,’ one commenter wrote. ‘Step one: Leave door closed. Step two: Nuke car from orbit,’ another said. ‘You can’t risk it… Only option is to never open that door,’ agreed a third. 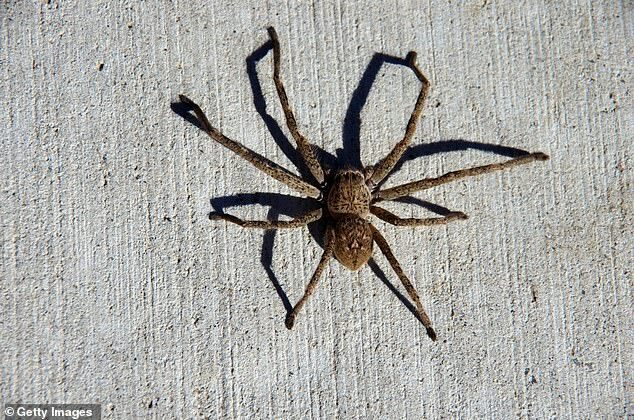 Huntsman spiders, while not deadly, can cause sickness including headaches and nausea if a person is bitten. They are found throughout the world and get their name because they hunt for food rather than building webs to catch it.